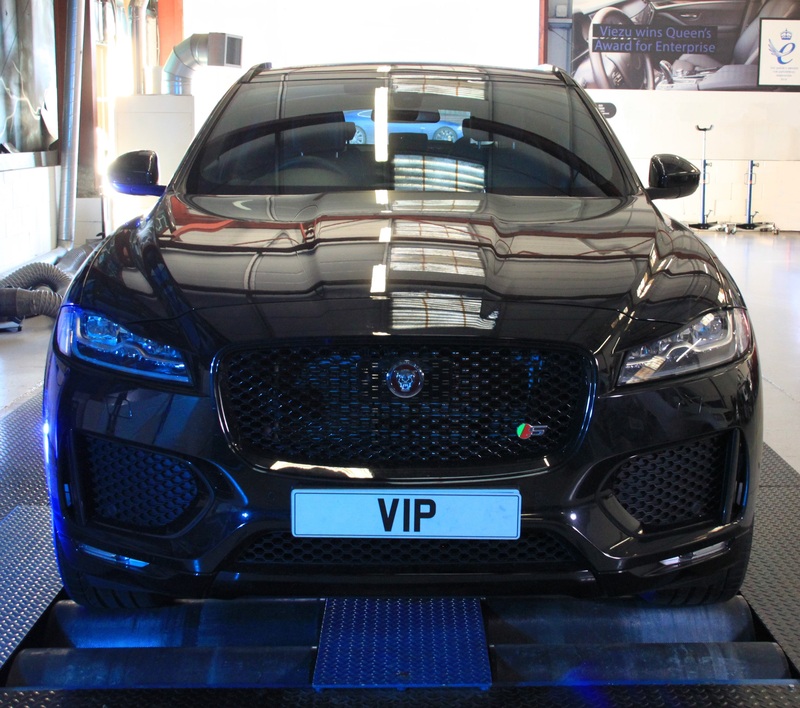 The Jaguar F Pace is fast becoming the biggest selling Jaguar model in the range, but with limited engine choice and no V8 or SVR version, VIP Design felt it was time to offer Jaguar F Pace Tuning and Performance Upgrade Packages. Ideal for those customers wanting a little more from their F Pace. Whilst we all wait for a Jaguar F Pace V8 powered version, VIP Design have been busy working on the V6 F Pace with some great results. There are a number of options and packages now available that can add up to 100bhp extra to your Jaguar F Pace, so if you are looking for more power, performance from your Jaguar F Pace Tuning and Performance Upgrades, you have come to the right place. Stage one Jaguar F Pace tuning and ecu remapping – nice and simple and installed through the OBD port – boosting power by 45bhp. Stage three – The VIP Design Jaguar F Pace “Setter” tuning and upgrade packages, adding 200 cell cats, rear exhaust system – giving an SVR style sound to the V6 engine, performance air filters, both upper and lower supercharger pulley modifications, and the VIP design stage 3 ecu remapping software, boosting power by as much as 100bhp, amazing throttle response and midrange pull that just keeps delivering across the rev range. Offering near supercar response and acceleration.